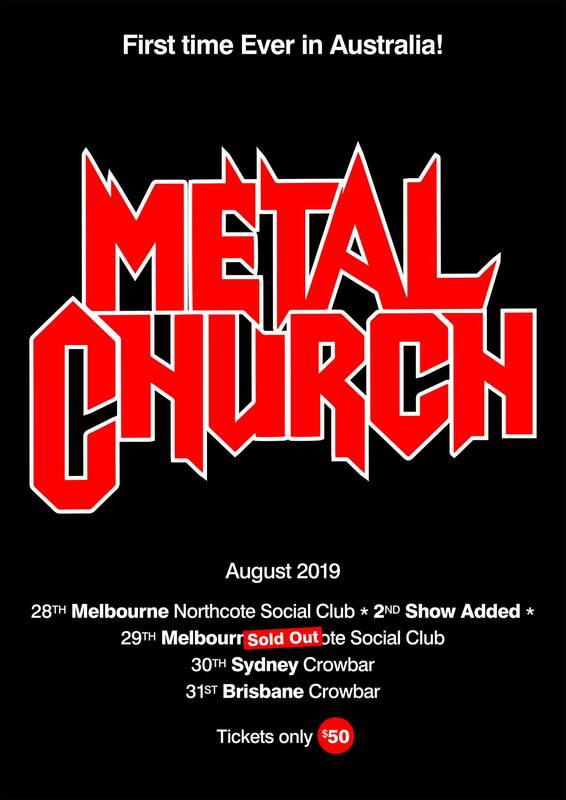 METAL CHURCH (USA) First Ever Australian Tour! A pummelling live show of legendary 80s Heavy Metal classics (Gods of Wrath, Metal Church, Watch the Children Play, Beyond the Black, Start the Fire) + Highlights from Damned If You Do. Born out of the 80s West Coast metal scene, they remain one of Metal’s most iconic and genre defining bands. "Fans were chanting Metal Church with every fist in the air"